1. SLIM Shots. Kick start your weight loss program with this appetite suppressing diet aid. Its natural active ingredient FabulessTM, is clinically shown to help you eat up to 30% less for up to 8 hours (without jitters or embarrassing side effects). Added perk: a new light European chocolate flavor introduced in March allows for variety with the original vanilla flavor. 2. A healthier eating plan. According to a recent Harvard study, effective weight loss is more about reducing calories than the type of diet, such as low fat or low carb. The study showed that lowering calories is the key to weight loss. 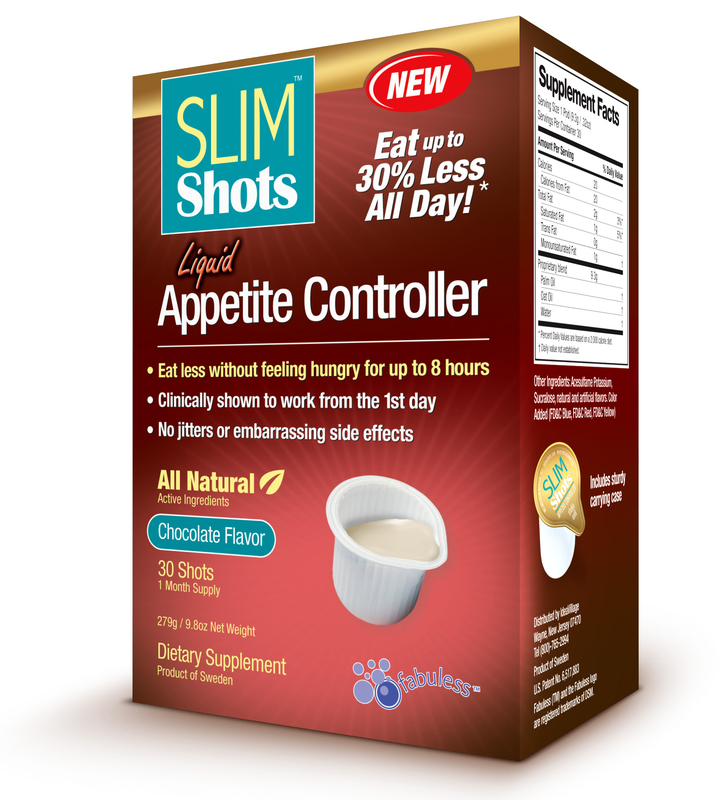 Helpful tips: try SLIM Shots' or the American Heart Association websites for menu options, or add SLIM Shots to your Weight Watchers, Jenny Craig or NutriSystems meal plan. 3. Time for exercise. Set aside 30 minutes 2 to 3 times a week to exercise. You do not have to have a dreaded exercise regimen or join a gym to burn calories - you can take long, brisk walks with your pet or significant other, jump rope, clean house, even walk a large shopping mall a few times (just remember to walk, not shop). Key take-away: get moving at least a couple times each week. With warmer weather comes clothing that is smaller, lighter, and shorter. Exposing skin that has not seen the light of day for months can be a hairy undertaking. Waxing and depilatories can be expensive, messy, and painful, and shaving has a potential for nicks, cuts and razor rash. Try the newest alternative instead. 4. Buff away unwanted hair. The new European beauty treatment, Smooth Away, has become the #1 hair removal product in the U.S. for a reason (IRI 12 weeks ending 4/22/09) - the method painlessly removes unwanted hair without any odor, chemicals, or cuts while exfoliating dead skin cells. Added perk: soft hairless skin for a fraction of other hair removal methods. Based on friction, you should go easy on the buffing or you may experience redness. Cut-away shoulders, halter and T-tops afford cool, breezy summer wear, but peek-a-boo straps are unsightly and this year's fashion faux pas. One alternative to buying expensive foundation garments is the new product from Ideavillage Products Corp.
5. Conceal bra straps with Strap Perfect. The product offers a unique solution to the age old problem of holding bra straps in place for a fraction of the cost of a bra. Added perk: it also lifts your bust. For more information on SLIM Shots clinical studies, visit http://www.slimshots.com.